The annals of the Cincinnati Historical Society reveal some interesting facts regarding the observance of the Schützenfest in this city. Surprisingly, documents dating back to the year 1866 give evidence that the first Schützenfest in Cincinnati was held in July, 1866 in Fairmount. The place was called Schuetzenpark. In later years it was named Schuetzen-Buckel Hill (pronounced Schitzen-Boockle Hill), and today it is known as St. Clair's Park. It is situated at the top of Fairmount Avenue. There was a rather large building on the grounds which covered more than 30 acres. This building which had been erected in 1851 had been used as a Baptist Seminary. During the Civil War it was converted into a military academy. At one time it had also been the home of a medical college. 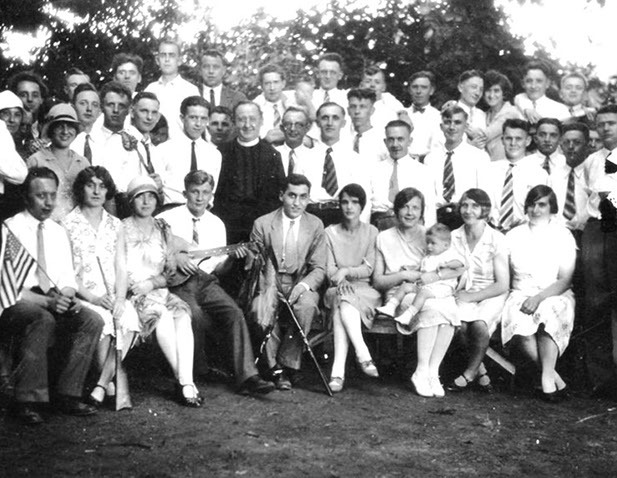 The Schützenfest Verein (Riflemen's Society) also called the "American Sharpshooter's Society" held all their picnics and festivals in Schützen Park. The Schuetzenbuch (Schitzenbook) a book with the names of all the members of the society lists its first dues-paying member on July 1, 1866. A membership of over 250 is registered in a document of 1868. Most of the members were also shareholders of the Verein. Henry Groten is mentioned as the president. In 1868 the American Sharpshooter's Society (Schützen Verein) sold all its assets to the Schuetzenpark Company. The most prominent members of the company were John Hauck and A. Dieterle, founders of the Hauck Brewing Company. These two men and eight others formed the entire company. They remodeled the structure and the grounds a t a cost of $155,000.00, a whopping amount of money at that time. The Schuetzenpark Company rented out the building all year for beer halls and beer gardens. Since the Schuetzenpark Company trustees were all members of this Schützen Verein; the Schützenfest must have been the main attraction there. In 1885 the Schuetzenpark Company sold the park. A certain Mr. Dexter who owned and operated a hotel on Main Street used it as a "SommerAusflugsort" for his customers. This German word is hard to translate into English. The park was basically used for summer outings and picnics. 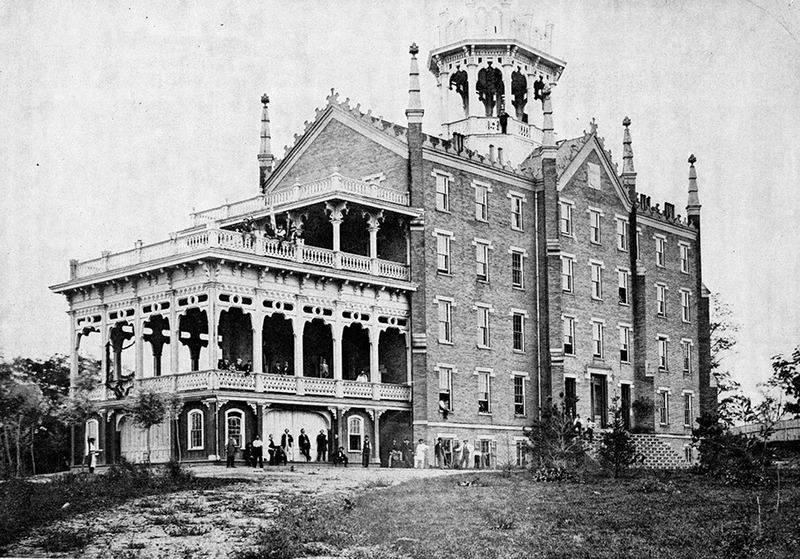 Unfortunately in 1888, the building burned down to the ground. The documents recovered from the cornerstone of the Schuetzenpark house were donated to the Historical Society of Cincinnati by the C.J. Hauck family of Cincinnati. These are the documents which revealed the interesting facts regarding the history of the Schützenfest in Cincinnati. 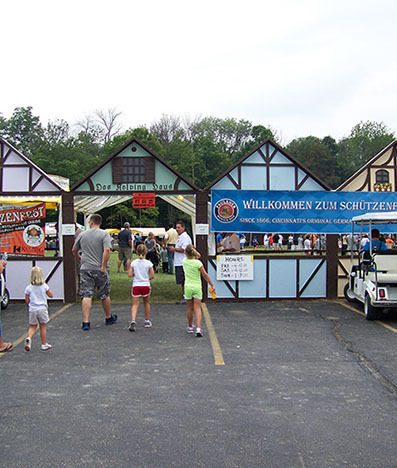 The Schützenfest seems to have diminished for some years until it had its second beginning in Cincinnati with the founding of the Catholic Kolping Society, known at that time as the "Katholischer Gesellenverein" (Catholic Journeymen's Society) in 1925. 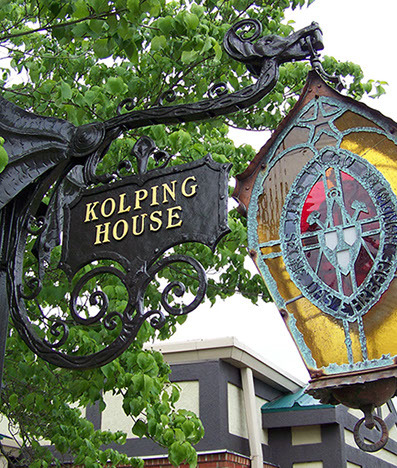 The Gesellenverein owned and operated a boardinghouse, called "Kolping House" at 1523 Republic Street in downtown Cincinnati. At that time, Republic Street was known as Bremn Street. After World War II (in the 1950's), many young Germans immigrated to Cincinnati. These young men revived the Schützenfest and for the last 62 years have never missed a celebration of this unique and interesting tradition. The first Schützen King was Benedict Wenker of Oakley who also was the first president of the Catholic Kolping Society of Cincinnati. 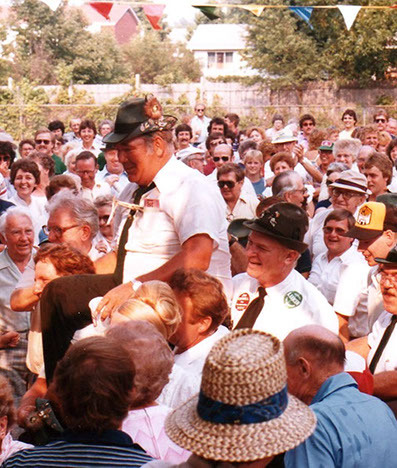 The Schützen King is a special title of honor conferred upon the lucky man who succeeded in shooting down the last piece of the wooden eagle at the annual Schützenfest. Every member in good standing is eligible to shoot at the eagle and try his skill with the rifle. The winner is officially crowned king and then as the Schützenfest King of the year. Quite a bit of work and time is put into the preparation for this gala affair. Several weeks before, meetings are held and the details are gone over, committees are appointed and various duties are assigned to them. Enthusiasm seems to grow as the date for the Schützenfest approaches. However, very few members are more enthusiastic and interested in this gala event than our faithful member Edward Lamping of Deer Park. Since 1925, Ed very skillfully and artistically has carved the wooden eagle which is the symbol of the Schützenfest. Legend tells us that many centuries ago in a small village of Germany; an eagle viciously attacked a small child. An alert "Schuetze" (archer or marksman) killed the eagle and saved the life of the child. The grateful townspeople praised him for his skill as a sharpshooter and looked upon him as a special hero and treated him almost like a king. Each year the event was commemorated and so the Schützenfest was born, some 500 years ago. 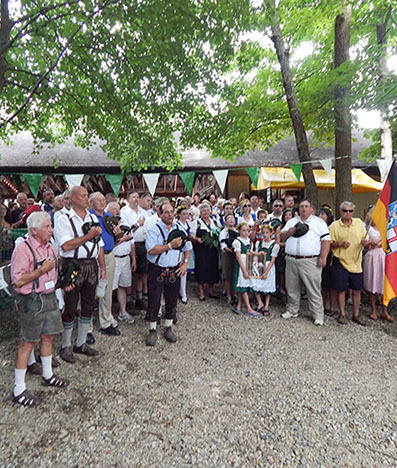 The local Schuetzenverein now known as the "Kolping Schuetzenclub" (Shooting Club) is aiming at continuing the Schützenfest another 100 years in Cincinnati. 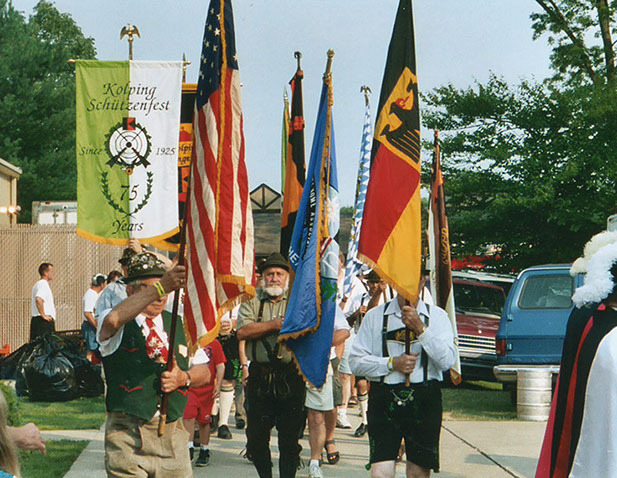 Kolping Center at 10235 Mill Road is now the home of the Schützenfest. 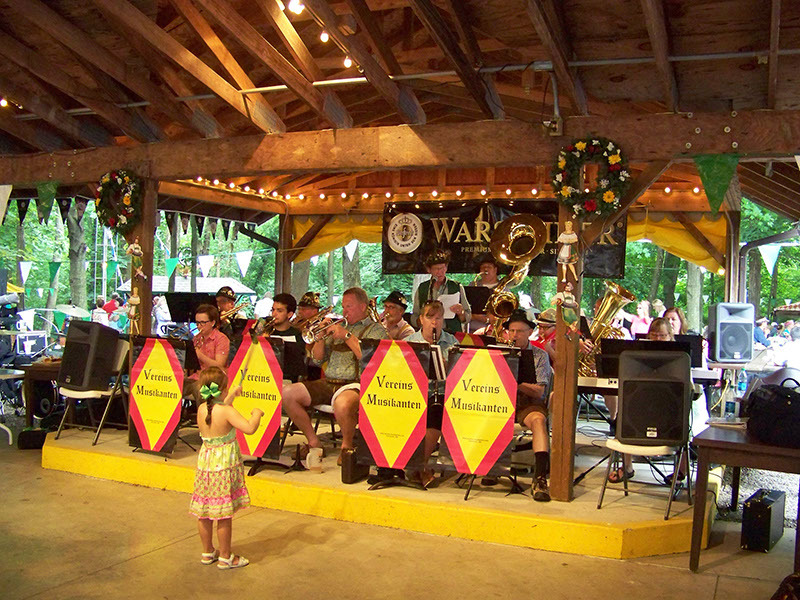 The past years have brought more and more people to the Center to witness the Schützenfest. The Schuetzenclub meets every third Friday of the month, from August to May, in the Kolping Center for their monthly shooting contest. The teams of five men each take part in this contest, using 22-caliber rifles at a distance of 50 feet. Prizes and trophies for high scores are awarded each month. 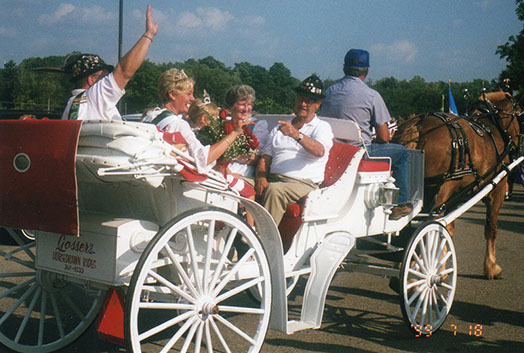 This local club is responsible for keeping alive the Schützenfest tradition in Cincinnati and we are looking forward to another 100 years of its existence.